The disaster of Virgin Galactic SpaceShipTwo has brought under public scrutiny problematics of safety in the suborbital space tourism industry. On that fateful October 31st, SpaceShipTwo was dropped from WhiteKnightTwo, the aircraft carrier, at an altitude of about 15,000 meters. The rocket motor was ignited a couple of seconds later and it had been burning for 13 seconds when video and telemetry were lost. The vehicle was by then at an altitude of about 18,000 meters. How the pilots where dressed and equipped has not been told yet, but we know that they had parachutes. How did Peter Siebold, the pilot, manage to bail out and survive it is also not yet known. He was in any case suddenly exposed to an extreme and risky environment: low atmospheric pressure in particular. Most proposals for commercial suborbital flight envision a shirt-sleeve environment inside their vehicles, taking the commercial aviation industry as an example. This proposal, however, does not take into proper account the likelihood and severity of the risk of decompression in suborbital spaceflight compared with those of aviation. A few words are needed to clarify this risk, and evaluate the need for proper countermeasures. 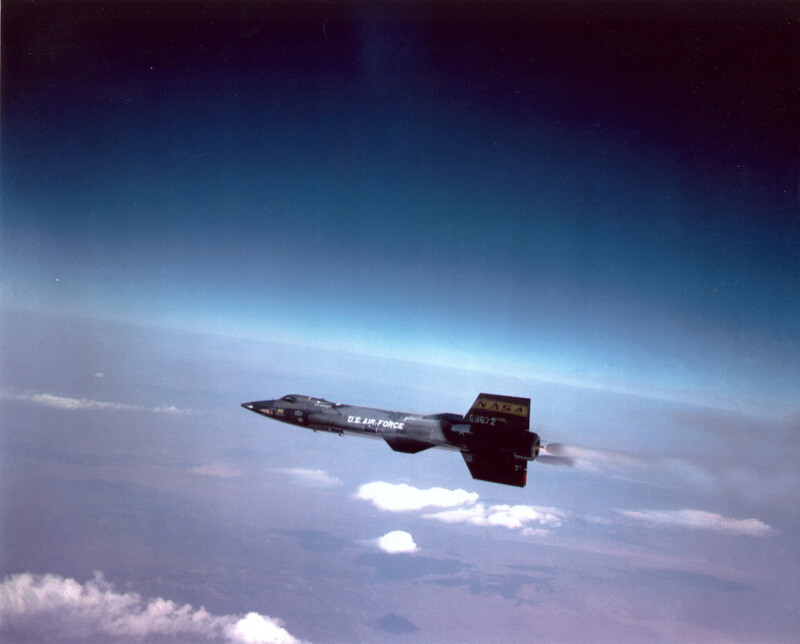 The North American X-15 is the ancestor of current proposals for suborbital vehicles. Decompression risk was prevented by wearing a pressurised suit. – Credits: Air Force. The scientific knowledge about the declining atmospheric density with increasing height above sea level was first recorded by a Spanish monk sent in the XVI Century to the then Spanish colonies in the Peruvian area, who recorded a series of body malfunctions at high altitudes. He ascribed them to the “thinning” of the air at such altitudes, decreasing air density in modern terms. His reports, and several other reports from similar sources afterwards, were ignored and neglected as non-scientific. Evangelista Torricelli (1608-1647), Italian physicist and mathematician, is credited with giving the first modern explanation of atmospheric pressure. Torricelli demonstrated that atmosphere has a weight and measured its value at sea level. The rationale beyond Torricelli discovery clearly showed that atmospheric pressure diminishes exponentially with altitude. The interest for such variations and the impact on humans grew with aeronautics and launched, at the time of the first World War, the science of aviation medicine. In 1920, flights nearing 12,000 meters were first achieved by releasing stored oxygen into the cockpit, but the lack of atmospheric pressure at that altitude caused the pilot’s heart to enlarge, and many pilots reported health problems from such high altitude flights. 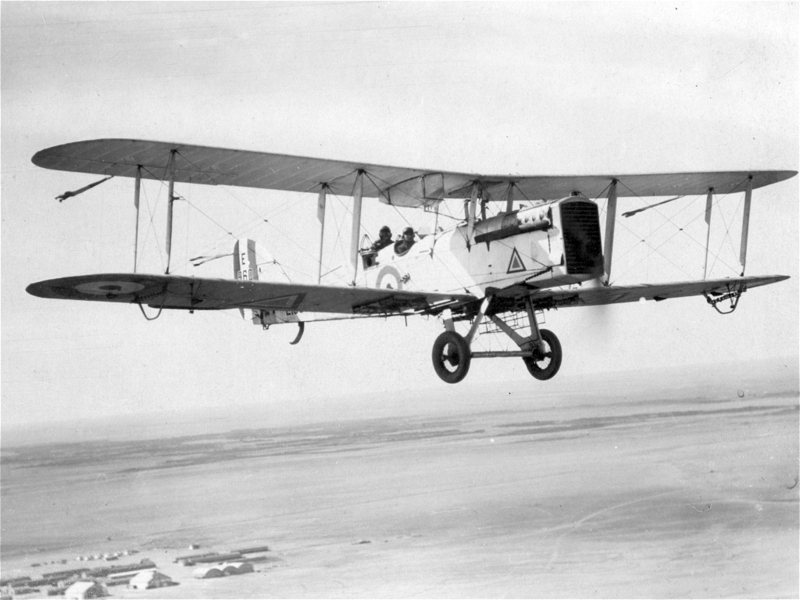 In 1921, a reconnaissance Airco DH.9 biplane was modified with the addition of a completely enclosed air-tight chamber that could be pressurized with air forced into it by small external turbines. The chamber had a small hatch that would be sealed by the pilot at 1,000 meters. The chamber contained only one instrument, an altimeter, while the conventional cockpit instruments were all mounted outside the chamber, visible through small portholes. The first airliner with a pressurized cabin was the Boeing 307 Stratoliner (1938), that was cruising at 6,000 meters. The British De Havilland DH 106 ‘Comet’ was the world’s first passenger jet airliner. All metal with high altitude pressurized cabin (cruising altitude up to 12,800 meters), entered service in 1953. Within one year and half two airplanes experienced in flight explosive decompression. The first crashed in January 1954, the second few months later in April. Both had departed from Rome airport. Sabotage was initially the prime suspect but after the second explosion an investigation campaign was launched, starting with recovery of the wreckage in the Tyrrhenian Sea. Eventually fatigue cracks due to concentration of stresses around the corners of the windows were found to be the cause of in-flight explosive decompression. An Airco D.H. 9A, the first airplane with a pressurized compartment for the pilot. Designing the fuselage of a modern airliner remains a challenging job because of multiple constraints and variables. The top design driver is pressurization that creates in the fuselage ‘skin’ tensile stresses, called hoop-stresses. At cruise altitude, when the difference between internal and external pressure (delta pressure) is at maximum, the loads on the cylindrical part of the fuselage can be higher than ½ ton per square meter. Since the surface of a cylinder grows with the square of the radius, and the volume of the wall of the cylinder with the cube, bigger fuselage radius like in wide-bodies, like the Boeing 747 and the Airbus A380, results either in higher tensile stresses or in weight penalties. Locally “shaving” the skin, by chemical milling for example, to reduce weight were possible is expensive and critical. It can bring bad surprises like marks that can grow to become cracks under cyclic tensile stresses. An airliner fuselage is subjected to cyclic stresses at each flight, the so-called GAG cycle (for ground-air-ground). More flights done per day, more GAG cycles are accumulated and eventually the GAG cycles dictate the useful lifetime of the airplane. Modern fuselage design allows to ‘tolerate’ long cracks up to remarkable lengths (even more than half meter) before explosive decompression and structural collapse takes place. Such design to tolerate long cracks is meant to make almost certain that cracks will be found by maintenance crews during periodic inspections. The most advanced technical solution to avoid fatigue cracks (and alsp corrosion problems) is to build the fuselage in composite materials, like done for the Boeing 787. But cracks are not the only cause of potential decompressions. Any seal on doors, windows, and certain valves, feed-through, joints and attachments, represent a potential leak path leading to decompression. Total failure of a window is also a credible occurrence, and aviation norms require to take such failure into account. A usual way of reducing tensile stresses, adopted since the time of the Boeing Stratoliner, is not to pressurize the fuselage cabin to sea-level pressure, but to a pressure equivalent to 2,500 meters of altitude, with few exceptions. The Concorde, for example, had to cope with unusually high pressure differential because it flew very high, up to 18,000 meters while maintaining a cabin equivalent altitude of 1,800 meters. Why 1,800 or 2,500 meters and not a higher equivalent altitude? Because passengers would experience not only discomfort but life-treating conditions at higher equivalent altitude. So how does the human body react to decreasing atmospheric pressure? In the operation of aerospace systems, oxygen is dangerous if not available in the right quantity. Too much and anything can become flammable, too little and you get deadly hypoxia or vacuum exposure. Let’s talk about hypoxia, how it can develop and how it can impair ones judgment at the precise time it is most needed. While breathing, the oxygen from air passes into our bloodstream through small sacs in our lungs called alveoli. Usually the partial pressure of oxygen in the alveoli (i.e. the pressure of the oxygen component of the gas mixture) is 14% (160 mmHg) when the air we breathe is at the usual 1 atmosphere (760 mmHg) at sea-level. The higher we climb into the atmosphere surrounding Earth the lower is the partial pressure of oxygen in the alveoli. At a certain point we get oxygen starvation, also called hypoxia. A sudden failure of a pressurized cabin is generally very dangerous but immediately recognized. It is accompanied by a good deal of noise as the higher pressure air in the cabin rushes out until the pressure equalizes with the external ambient pressure. This may be preceded by a loud popping sound. Dust and debris will be picked up and rush toward the opening where the pressurized air is rushing out. Items (and human beings) could be sucked outside an aircraft as it happened to the B-737 of Aloha Airlines in 1988. Instead a slow decompression of an aircraft cabin may be not recognized until an automatic alarm sounds and oxygen masks deploy for passengers. The pilots may lose precious minutes looking perhaps for a false alarm, instead of immediately donning their oxygen mask. In those precious minutes the most insidious effects of hypoxia would sneak in and affect eyes and brain. The retina of the eye is more demanding of oxygen than any other organ of the body — even of the brain itself which demands 30% of the overall supply. Vision would begin to degrade in particular at night. Without supplemental oxygen at sufficient pressure the pilot gradually and progressively lapse into incompetence while maintaining an absolutely euphoric faith in its own ability. When blood oxygen saturation is down from the normal 97% to a dangerous 85%, colors fade and vision dims. There is a serious degradation of judgment, memory and thought. The impairment of judgment leaves one feeling just fine and confident in his performance. Gradually one becomes more euphoric, belligerent, or disoriented and behaves irrationally, unreliably and dangerously. Unconsciousness and death then follows. The airplane without human control may continue to fly until fuel is exhausted and then crash. It happened already in a couple of cases. One suspected, a Learjet 35 in 1999 which flew apparently without control for four hours, and a confirmed case already mentioned of the 737 of the Helios Airways Flight 522 in 2005. More recently there is growing evidence that slow decompression may have caused the incapacitation of the crew of the Malaysian Boeing 777 (MH370) that flew several hours, apparently unattended, before crashing in the sea. In the video below, effects of hypoxia on the human behavior. Aviation medicine defines the “time of useful consciousness“, that is, how long after a decompression incident pilots will be awake and be sufficiently aware to take active measures to save their lives. Above 15,000 meters, the time of useful consciousness is 9 to 12 seconds, but an explosive or rapid decompression will cut this time to about 5 seconds due to the startle factor and the accelerated rate at which an adrenaline-soaked body burns oxygen. In accordance with NASA (NASA SP-3006) after loss of consciousness the following should be expected for very low pressure ovacuum exposure: “In rapid sequence thereafter, paralysis will be followed by generalized convulsions and paralysis once again. During this time, water vapor will form rapidly in the soft tissues and somewhat less rapidly in the venous blood. This evolution of water vapor will cause marked swelling of the body to perhaps twice its normal volume unless it is restrained by a pressure suit. Heart rate may rise initially, but will fall rapidly thereafter. Arterial blood pressure will also fall over a period of 30 to 60 seconds, while venous pressure rises due to distention of the venous system by gas and vapor. Venous pressure will meet or exceed arterial pressure within one minute. There will be virtually no effective circulation of blood”. The chances of depressurization problems in aviation are very low but not rare (310 cases in the period 1998-2008). An explosive decompression occurs in less than half a second. This usually only occurs in small aircraft flying at very high altitudes. A rapid decompression is more common and is usually associated with larger aircraft. Decompression occurs in a matter of seconds and it is normally associated with a ‘bang’ and a sudden fogging of the cabin air. A slow or subtle decompression occurs over a longer time and due to the gradual change in air pressure. It can be difficult to recognize before alarm sounds and passengers oxygen masks deploy from the cabin ceiling. The main approach in aviation to cope with decompression scenario is rapid descent to a safe altitude. The higher an airplane flies, the more efficient flying becomes because of reduced drag. Nevertheless there is a maximum possible altitude called ‘absolute ceiling’ which is the altitude where maximum engine thrust available equals minimum thrust required and the rate of climb becomes zero. 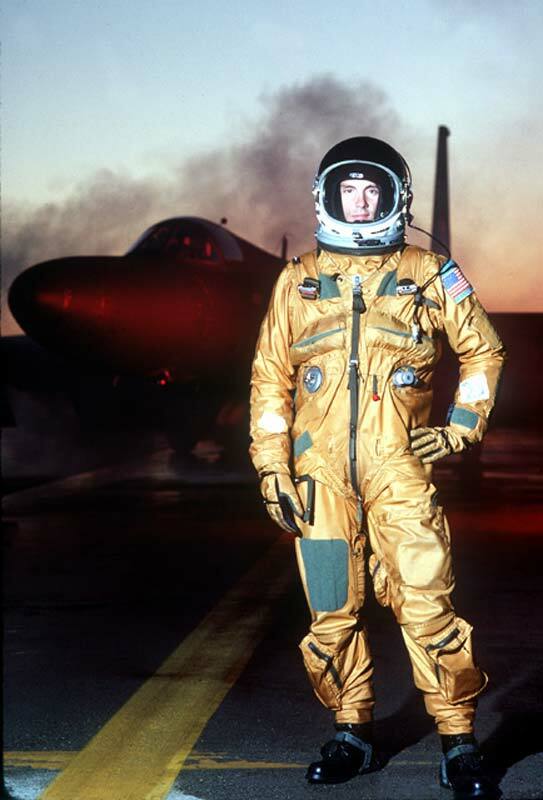 A U2 pilot suited up with pressurized suit to prevent decompression risk. – Credit: US Air Force. In reality, the maximum altitude an airplane is allowed to fly is related to the ability to make a fast descend to the safe (no hypoxia risk) altitude of 3000 meters should a decompression happen. As soon as the pilot is alerted of an air leakage he has to wear the oxygen mask and perform the rapid descent maneuvers foreseen by the manufacturer. The performance of the pressurization system and the air volume of the cabin (as well as the window size assumed to have failed) very much dictate the time available before reaching the hypoxia critical level and consequently the maximum altitude an airplane is allowed to fly. The pressurized volume of a Boeing 747 is around 700 cubic meters and the maximum altitude to which it is certified to fly is 13,700 meters. Dangerous low level of oxygen can be almost instantly reached if the pressurized volume of the cabin is small as in the case for military fighter airplanes. Military pilots continuously wear oxygen masks during flight because they would have no time to wear them if depressurization happens. Business jets have generally a small pressurized volume, around 30 cubic meters, but are allowed to fly at high altitude if they can operate an “Automatic Emergency Descent” that would take automatically the aircraft to 3,000 meters, thus allowing an incapacitated pilot to recover from hypoxia. The supersonic Concorde had some unique features with its pressurization system. Normal oxygen masks do not help at 18,300 meters because time of useful consciousness is less than the amount of time to get it on and also because at that altitude 100% oxygen is not enough to prevent hypoxia. Concorde had automatic features for an emergency descent, and part of the reason for smaller windows was also to reduce the speed of decompression. 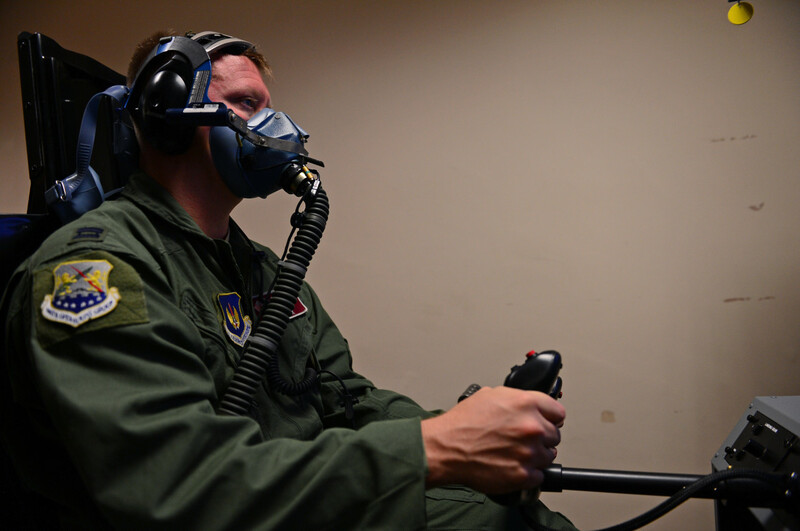 The masks for pilots automatically turned 100% oxygen setting above 9,700 meters and above 12,200 meters the system actually added pressure to inspiration. On June 25, 1997 a Russian Progress cargo spaceship collided with the Russian MIR Space Station. The ‘Spektr’ module was punctured and the space station start to decompress. Following the procedures the module was isolated (and never used again) and the station recompressed. With 840 cubic meters of pressurized volume the International Space Station (ISS) is the largest volume (and mass) ever flown in space. Onboard ISS, detection and response to depressurization is executed by software. The safety of the crew during a decompression scenario is insured by the automatic software along with planned crew reactions. The astronauts are trained to assess the criticality of the decompression rate and If time allows, they would attempt to find and isolate the leak. All equipment and instruments inside the habitable module of ISS are designed to sustain decompression (and re-pressurization) loads without causing secondary failures that could harm the crew or damage the station. As for MIR, the immediate response to rapid decompression is to isolate the affected module by closing the hatches. On the ISS the crew enjoys a short-sleeve environment. In space mission the use of pressure suit is reserved to launch and re-entry phases, the most challenging parts of the flight in terms of mechanical and thermal loads on the spaceships and also because of the tiny pressurized volume of transportation vehicles. Historically, there have been two periods where a pressure suit was not used in orbital flights. In the Soviet space program, the Voskhod and the early Soyuz flights did not make use of pressure suits due to extreme weight and volume limitations. This was changed after three cosmonauts died on Soyuz 11 due to a valve malfunction that caused decompression of the capsule. In the US Shuttle program, although having a larger pressurized volume (around 100 cubic meters), pressure suits were introduced after the Challenger Disaster, following the recommendation from the Challenger Accident Investigation Board and in conjunction with a new crew bailout scenario at 7,600 meters in case of emergency. 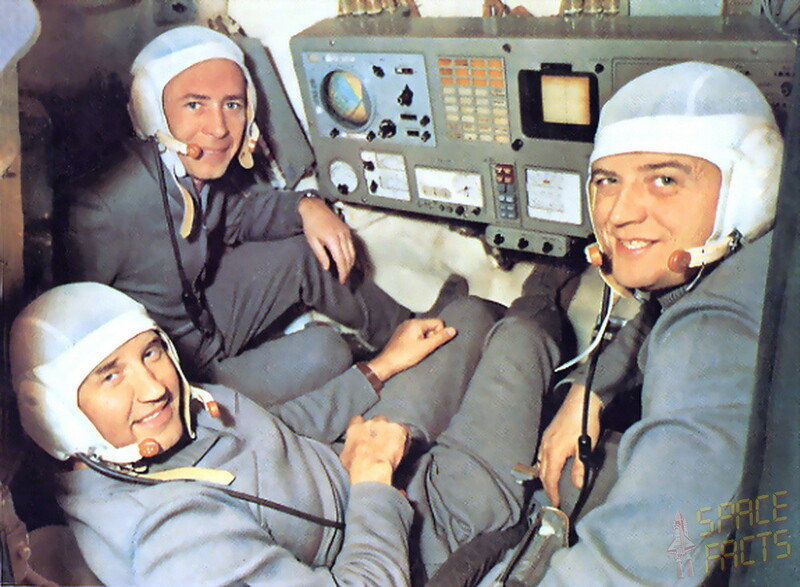 The tragic crew of Soyuz 11 – Georgi Dobrovolski (left), Vladislav Volkov (right) and Viktor Patsayev (background) – died for oxygen deprivation upon reentry following the premature firing of an equalization valve. (Credits: Joachim Becker/SpaceFacts). How Fast Will a Suborbital Spaceship Decompress? As we have seen dangerous low level of oxygen and pressure can be almost instantly reached if the volume of a pressurized cabin is small and the delta pressure is high. The situation is extreme in near vacuum conditions. It should be noted that higher delta pressure also result in higher nominal leak rates that tend to exacerbate leak tightness deficiencies. The pressurized volume of suborbital vehicles currently under development are tiny, maximum 35 cubic meters. It takes less than 50 seconds to reach hypoxia critical level due to a 1cm hole, and the pressure drop is essentially instantaneous for larger breaches. It is estimated that from the time a rocket motor of a suborbital winged vehicle ignites to the time the vehicle will be back gliding or descending lower than 3,000 meters, there will be about 20 minutes during which nothing can be done to abort the flight and descend to a safe altitude. For all the above reasons, considering the experimental nature of suborbital spaceflight, the use of pressure suits should be made mandatory for crews and perhaps optional for passengers based on their informed decision. The article takes the long way around to reach an inescapable conclusion. Orbital and suborbital transportation requires pressure suits with oxygen supply sufficient for the vehicle or the individual to return to a normal pressure situation by either descent or repair.